some of the major thinkers who have influenced my growth as both a Christian, a pastor and as an individual as I reengage some of their work in my reading. 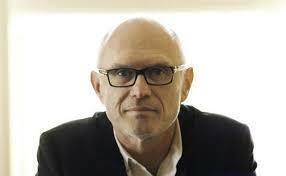 Since I just finished rereading After our Likeness by Miroslav Volf I will use him as the first, (well other than my beginning of a similar document of the work of Martin Luther). I have only met Professor Volf once in Tulsa, Oklahoma where he was speaking and yet as an author his works from the first one I picked up in my final year of seminary in 2004 (Exclusion and Embrace) have probably done more than any other modern theologian to challenge and shape me over the past twelve years. I have not read everything Volf has published but what I have read has been very fruitful and thought provoking. 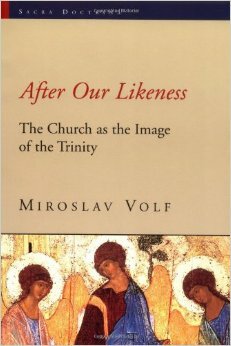 After our Likeness: The Church as the Image of the Trinity. (1998) This works started out as a Habilitationsschrift, one of the dissertations that Volf had to submit for his doctoral degree from the University of Tübingen. This is probably the hardest to read of Volf’s work and the most abstractly theological. He attempts to bring a Free church ecclesiology into conversation with a Roman Catholic and Orthodox ecclesiology represented by Cardinal (Joseph) Ratzinger, who would after the publication of this be elevated to be Pope Benedict XVI, from the Catholic Church and Metropolitan John D. Zizoulas from the Orthodox church. Volf’s ambitious project attempts to deal with issues that deal with both the concrete forms of individual churches as well as the catholicity of the church. He begins his contribution to this dialogue with John Smyth’s position (based on Matthew 18:20) that where two or three or more saints are joined together that there is the church. The individual church in his model is joined by the action of the Triune God to the church universal. 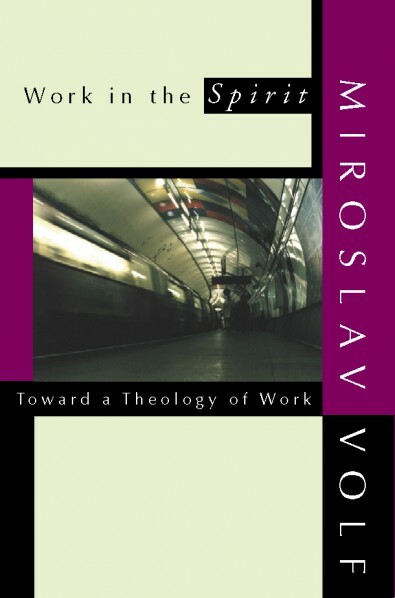 Work in the Spirit: Toward a Theology of Work, (1991) This volume also evolved out of Volf’s doctoral studies, this one out of his dissertation evaluating Karl Marx’s understanding of work from a theological perspective. Within Work in the Spirit he takes this dialogue with both Karl Marx’s understanding of work and Martin Luther’s concept of vocation and tries to apply these to our context where work is far more dynamic than in Luther’s or even Marx’s time. Volf highlight’s the idea of charisms or gifts of the Spirit as a departure point to attempt to imagine a theological view of work that is not limited to Marx’s view of the alienation of work or Luther’s more static view of vocation. Because this flows out of his doctoral work this still is a little more formal than some of Volf’s later works. Exclusion and Embrace: A Theological Exploration of Identity, Otherness, and Reconciliation (1996) This is the volume that introduced me to the work of Miroslav Volf and from the first page of the preface, where he lays out what is at stake in this theological exploration, through the final chapter on Violence and Peace it is a passionate and articulate formulation of a theology of the cross for our time. Volf is able to be both honest about the challenges of reconciliation while holding before the reader the dream and hope of embrace as the end for which we are called to work. He powerfully weaves together theology, scripture and personal experience into a work that I have gone back to multiple times in my own ministry. 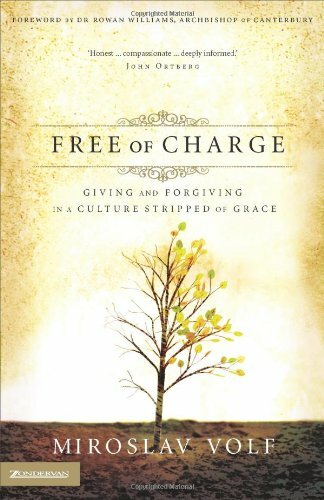 Free of Charge: Giving and Forgiving in a Culture Stripped of Grace (2005) This was written for a less academic audience but keeps Volf’s profound insight into the nature of forgiveness and his honest reflections about the struggle to forgive. Volf addresses many false views of both God and forgiveness in this beautiful little work that continues to delve into the vision of reconciliation he began in Exclusion and Embrace. 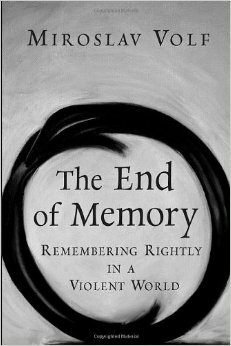 The End of Memory: Remembering Rightly in a Violent World (2006) Volf continues his reflections on reconciliation by exploring memory and the way our identities are formed by what we remember. Bringing together theology, psychology, sociology as well as personal experience and reflection into a cohesive reflection on how memory and forgiveness can live together. Another profound work that continues to work towards the goals of reconciliation laid out in Exclusion and Embrace. 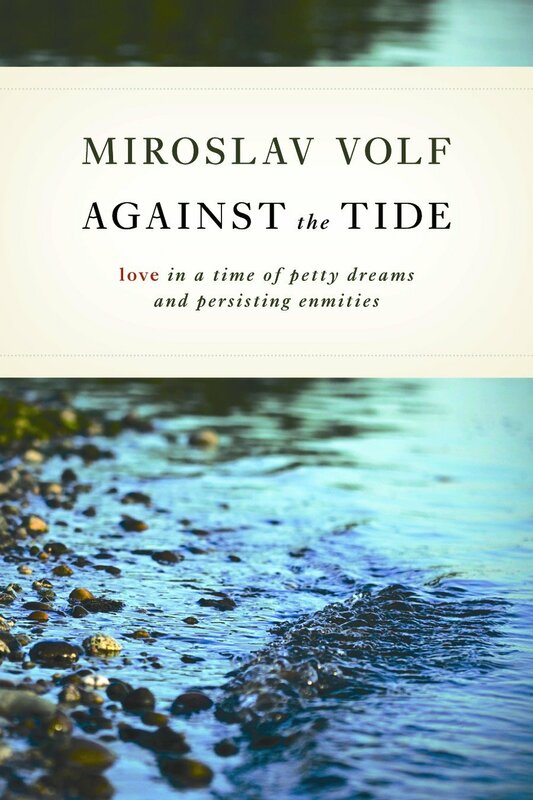 Against the Tide: Love in a Time of Petty Dreams and Persisting Enmities (2010) This is a collection of short essays, many originally appearing as a column in Christian Century. Like all collections there is benefits and challenges: this is not a cohesive work like his other volumes but it is a collection that you can pick up a three-page reflection and then put down without losing a train of thought. There are some gems in this work and it probably would be best as more of a reflection type reading rather than a volume to read straight through. 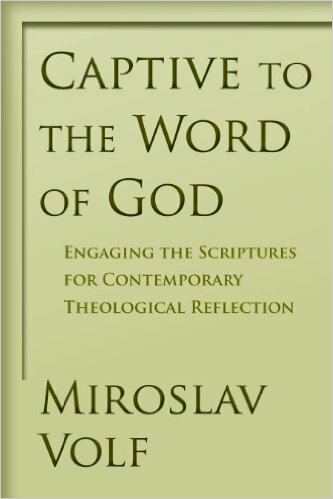 Captive to the Word of God: Engaging the Scriptures for Contemporary Theological Reflection (2010) I don’t remember this volume as well as many others of Volf’s. Like Against the Tide it is a collection of (longer) essays from a span of sixteen years on how to read the scriptures. Volf presents a way of not only reading scriptures theologically in a pluralistic world but also makes the point that ultimately theology should lead beyond a way of thinking to a way of living. 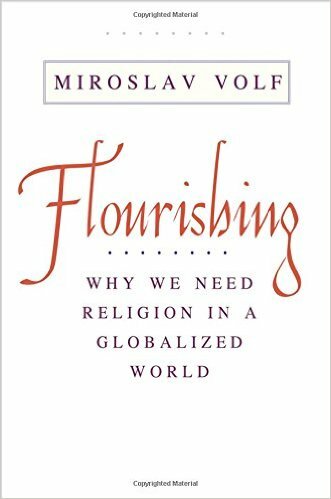 Flourishing: Why We Need Religion in a Globalized World (2015) One of the things I love about Volf’s writing is that he asks good questions that need to be wrestled with. The question for this book is fairly simple: What is a life worth living? And what does religion (specifically but not limited to Christianity) have to contribute to the answer of this question? This is a measured and wise beginning of the answers to those questions. Volf engages both the ancient wisdom of books like Ecclesiastes and Job and the questions they prompt that still resonate in our lives. 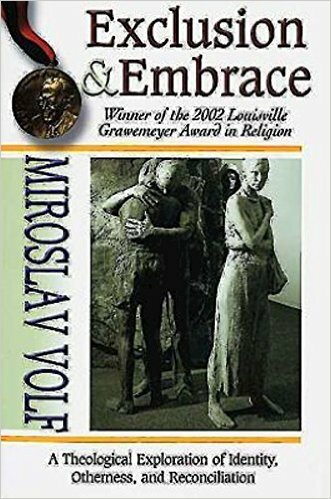 This entry was posted in Book Reviews, Theology and tagged After Our Likeness, Against the Tide, Captive to the Word of God, End of Memory, Exclusion and Embrace, Flourishing, Free of Charge, Miroslav Volf, Work in the Spirit. Bookmark the permalink.